Designed to be installed above the front door on the inside, every sacredly conceived art emits powerful and beneficial vibrations. 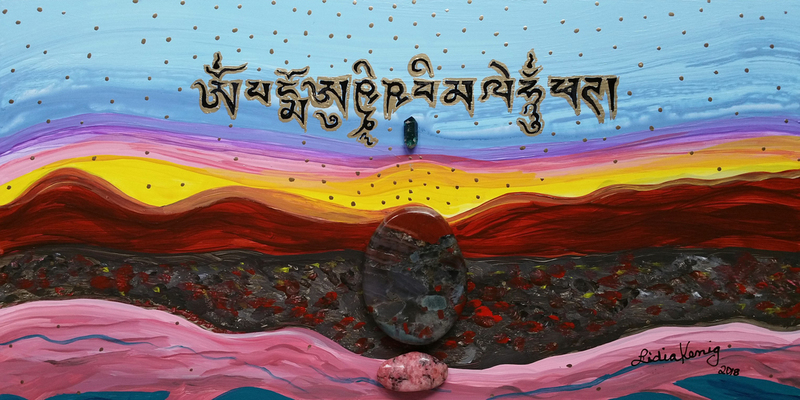 Each of the Tibetan Sanskrit syllables infuses the space with unconditional love, balance, joy, gratefulness, right thinking, right speech, right concentration, and right action for the benefit of all. Blessed prints only are available. To commission a Door Protector, please go to the Purchase Info Tab in the Menu Bar or Contact the artist with your questions.